Facebook is a great social media for boosting website traffic. Facebook have millions of real users. Some awesome features like share, comments are making it different from other social media. For using Facebook as a great source of websites traffic, just need to take some trick. Here I will discuss about how to got website traffic from Facebook. If you are a Facebook user, you may know about the Facebook page. Facebook page is the main source of website traffic. Millions of Facebook page are available on Facebook. The first step is to open a Facebook page for your website. Then invite your friends to like your page. I invite More than thousand of my friend and other people like my page. Every day I share my website update on my Facebook page. 30% of my website's traffic comes from the Facebook page. People who like our page, they automatically got a notification from my page when I update something on our Facebook page. You can also get a java code for including your Facebook page on your website. For getting more like on your Facebook page, post interesting content like a joke, poem or something interesting. Remember, more like means more website traffic. Video also make more impression on your page. Share video which is more interesting. You can get more website traffic from sharing the interesting video on the Facebook page. Facebook group is another source of website traffic. A Facebook group can drive thousands of website traffic every month. 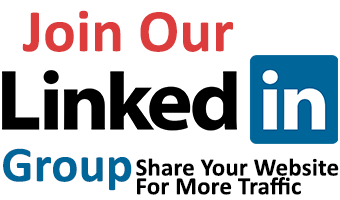 Although Facebook group traffic is very easy than a Facebook page. The first step is to create a Facebook group by the name of your website or something. Now you need to add all of your friend on your group. For this, you have to make 5000 friends on Facebook. If you are not interested in sharing it with you friends, you may create another Facebook account. This account is only for add group members. Now add every friend in your profile And send a request to them like your Facebook page and add them to your Facebook group. 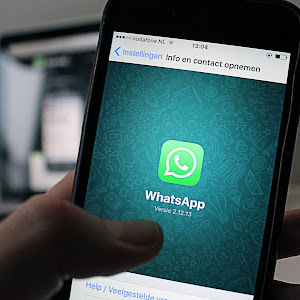 Ask everyone for add their friends on the group. You can arrange a competition on group members. Who add more friend, he got the prize. After opening Facebook page, you have to post multiple times a day. The regular post got more like share and comments. More share, like and mean more visitors on your website. 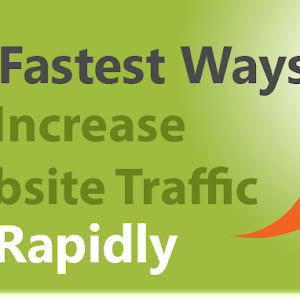 Your website visitors will increase rapidly. Basically content can increase your website traffic than a text post. Most of the users interested in visual content like video, photo or music. So that a video can drive more website traffic than a text post on Facebook. Video must be funny or tutorial related. Like our page, we share a funny video. Because our page visitors are boring by reading our post every day. So that we think this video will reduce their boringness. You can collect such kinds of video from YouTube channel. it’s another way for driving traffic from Facebook. Every website has to share button option like Twitter, Facebook, Google plus. So that when people think that your post is awesome to share with his friends, he just clicks on the share button. If anyone shares a post, it will be share on his timeline or group or page. Facebook also have paid advertising system. You can boost your website's traffic by using Facebook paid advertising methods. You must be pay before starting advertising. Facebook will display your advertising to another people. People will be like, share, comments on your post. The traffic methods are natural. Facebook is a social media where visual content is got more impressions than a text post. So you have to share your photos in big size. People will be more engaging with your post. You can also post some funny picture on your page with post link. Link must be shortened with Google link shorter. Either people can't interest to click on your link. You may know about the blog post, that the long post got more traffic. But the social media surfer have less time than a blog reader. Because they try to know more in less time. So, write a short text with a photo. It’s like a summary of your blog post. Or you can share the famous people quote on your Facebook page with your blog link credit. It also increases your website's traffic. Because, when you will try to help people in their needs, they will be following your blog. Such as, you join an AdSense and blogging group. You have a blog about AdSense and blogging. So when you solve the problem in the Facebook group, people will be interested in you. Now refer your blog for more deep knowledge about solving problems. Don't spam in Facebook. Some website offers you to increase your Facebook like and group members. But this method is spamming. If you ban from Facebook anytime, it will be your bad luck. Facebook doesn't reactive your blog. So enjoy website traffic from Facebook. Do you think more option for driving Facebook traffic?? You may have a better idea. Thanks Donna, You comment inspired me. Hope to see you again. 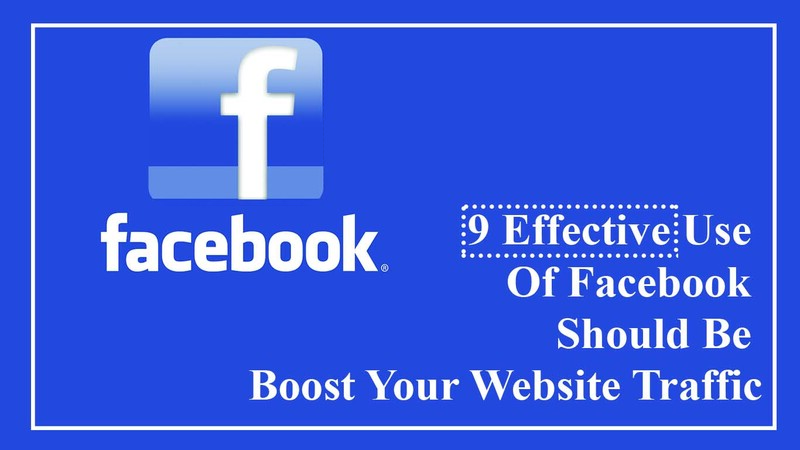 Hello SHAFI ULLAH, you are posting really great article on 9 Effective Use Of Facebook Should Be Boost Your Website Traffic. Thanks for sharing. Thanks Evana, stay with blogpairs. Hey akshay, Thank you for you for comments. Its inspired me. Hi there, I'm just like you. My hobby is read, write and share. =) Thank you for sharing this tips with us. Thanks David, for comments. Its inspired me. Nice guide for increasing blog traffic. According to me social medias are good way for increasing blog traffic. Thanks "Mania" for your comments. Yeah social media is very important for increasing website traffic.